I am a nail art technician and Youtuber. I present creative designs in all aspects of fashion, including nails. I have been a pioneer in the Japanese nail industry, contributing to it since it started. 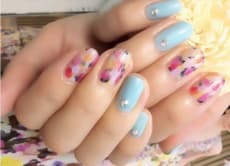 Besides the management of one of the major nail salons in Japan, I am also a top nailist. I have been responsible for the treatment of 200,000 customers. Furthermore, I concurrently serve as the principal of a nailist school that has produced more than 2000 nailists. Besides appearing on a number of media such as TV and magazines, I have been receiving offers as a seminar lecturer from all over the world. 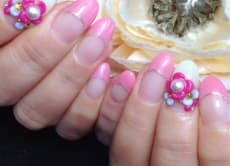 I can teach about gel nail, nail art, make up, hair design and fashion of Japanese style. If you are interested in Japanese beauty I can teach you!